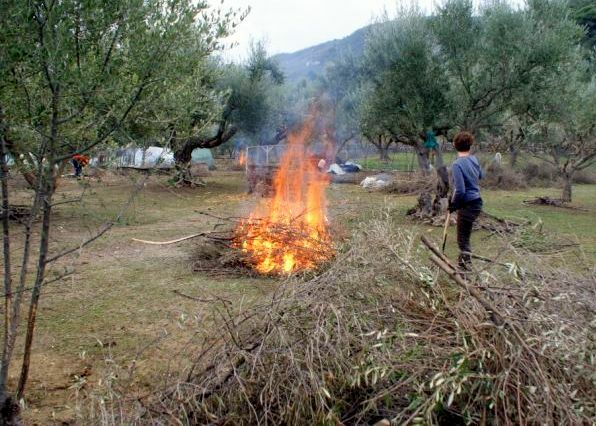 Hey chowgypsy how much money do those farmers save by only using firewood from their olive trees to heat their house? John, your childhood dream come true -- touching newborn lambs! Remember lamb reconnaissance in Rye? I've added this lovely spot to the long list of Places to Go that Chowgypsy has captured so beautifully. A real lift in this grim New England winter! You definitely have some spots to hit in Greece now. Unlimited olive oil!! Chowgypsy, thanks for writing this post, looking like an amazing time - I am currently looking to go WWOOFing in Greece (during summer) may I ask, is this family looking for more help and/or what's the name of the farm? Thank you! I like those farmer how growing and developing olve. Khalid.